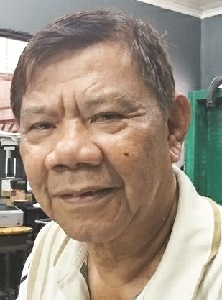 A FORMER mayor has filed a petition of disqualification against reelectionist Mayor Rommel Maslog of Talisayan, Misamis Oriental, for what he said was a false information in his certificate of candidacy. The petitioner, ex-mayor Arthur Sumanpan, asked the Commission on Elections (Comelec) to cancel the certificate of candidacy of Maslog. Sumanpan is challenging Maslog’s reelection bid in Talisayan. Documents provided by Sumanpan to this paper showed that he accused Maslog of lying in his certificate of candidacy. The electoral petition has been docketed under case no. SPA 18-249 (DC) and filed before the Comelec main office in Manila. Received by the Office of the Clerk of the Commission on Jan. 11, Sumanpan argued that Maslog made a “false representation” in his certificate of candidacy when the incumbent mayor stated that he was never found liable for an offense that carries a penalty of perpetual disqualification to hold public office. Samanpan said Maslog had pleaded guilty to two counts of violating the Philippine Auditing Code before the Sandiganbayan’s 2nd division. The Sandiganbayan decision, dated July 1, 2008, showed that Maslog entered a plea of guilty to two counts for violation of PD 445 instead of malversation of public funds and failure of an accountable officer to render accounts. Samanpan said Maslog also has a pending case before the Office of the Ombudsman for perjury and gross dishonesty. The Office of the Clerk of the Comelec 2nd Division, Abigail Justine Cuaresma-Lilagan, has directed Maslog to respond to Samanpan’s allegations. Maslog, for his part, said he has already submitted his answer to Sumanpan’s petition. Maslog said the petition for disqualification was filed after the 25-day reglementary period set by the Comelec. “Nag-file ako sa akong COC sa October. Ang iyang (Sumanpan) petition na-file Dec. 27, 2018. That is 56 days na milabay gikan sa pag-file nako,” Maslog said. He strongly denied the allegation of Sumanpan that he lied in his certificate of candidacy. Maslog said he stated the truth when he answered “no” to the question if he was ever found liable for an offense that carries a penalty of perpetual disqualification. Maslog explained that Sumanpan’s argument that he was found guilty by the Sandiganbayan for two counts of violating the Philippine Auditing Code (PD 1445) could not be used since it was only a minor offense. “Mag ‘no’ gyud ko sa No. 22 question sa akong COC kay naa mismo sa decision sa korte nga ‘no civil liability’ ug gieprimand lang ko,” Maslog said. He said the anti-graft court only slapped him with a P500-fine for each count. Maslog said the case was a result of funds spent for plane tickets for guests during the town’s fiesta in 2008. He said it could not be liquidated because the tickets were lost, and so, subsequently, he refunded it using his personal funds. He said the COA gave him a clearance after the refund. Maslog said Sumanpan did the same thing in previous elections in Talisayan.